Making a firm design decision, Apple is said to be choosing not to hide the sensor "notch" cut into the top of the "iPhone 8's" OLED display, taking after the look of some other devices like the Essential Phone. Concept art by Max Rudberg. The cutout is said to be noticeable during app usage, particularly in any app with a non-black background, according to Bloomberg sources. 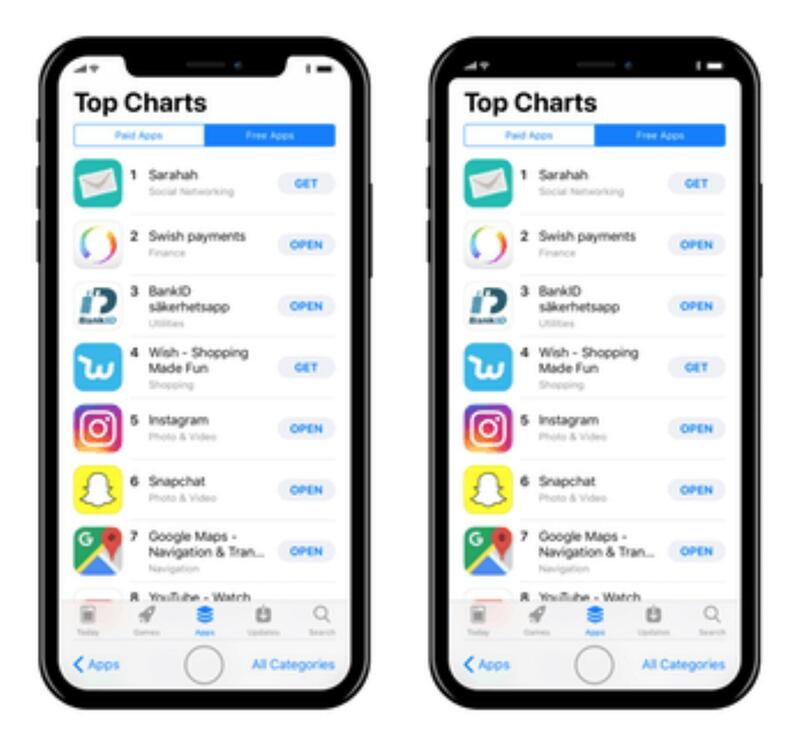 The company's traditional status bar will reportedly be split into two "ears," which in recent Apple tests put the time on the left, and battery/connection status on the right. The status bar could change based on the given task, one source said, because of limited space. Until today it was suspected that Apple would keep the status bar/ears permanently black in order to conceal the notch. Indeed the Bloomberg sources indicated that because of OLED technology, which can completely shut off individual pixels, black backgrounds blend in with the notch almost perfectly. The phone's interface could bear some resemblance to recent concept art (above) by Max Rudberg, although he omitted a clock and spread connection status across both ears. Bloomberg has also indicated that Apple is replacing a physical home button with new gestures, a different multitasking interface, and a "software bar" for navigation. Apple is expected to reveal the "iPhone 8" at a Sept. 12 press event. Other features should include wireless charging, and 3D facial recognition, the latter depending on the sensor notch and likely replacing Touch ID. Well, that is unimaginably stupid because it looks terrible. Not sure that’s the right move, if true. Only on white. Two of the benefits of OLED are that blacks are really black and that black means no power being used for those pixels so I'd assume the bar would be mostly black. That sounds like Apple, alright. Genuinely unsure which looks worse. They are embracing the ears; interesting. To each his own I guess? It looks fine to me. What I don't understand is that Apple is seemingly (it is just rumor and conjecture at this point) able to have the screen flow around the "sensor" bar at the top of the display, but for some reason they've chosen to abandon the Touch ID altogether even though it would apparently be possible to also have the screen flow around it as well? Touch ID has been a fairly prominent feature of the iPhone since it was added, I just don't see Apple getting rid of it. The "chin" at the bottom of the iPhone has remained solely because the Home/Touch ID button is central to the device interface. I'm taking a stand that the Home/Touch ID "button" will remain in the exact same space as it always has. Having the fixed hardware button set in the display and the software interface on either side, would be the simplest method. Removing the fixed hardware button and creating a software "home" button with haptic feedback, and moving the Touch ID sensor under the display to allow for a full software interface at the bottom would be the most difficult method. If Apple has not perfected placing the sensor under the display, then I'd be willing to bet we'll see a non-mechanical (a la iPhone 7) button set in the display and the navigation bar interface on either side. Looks fine to me. Just something else people can complain about, I guess. Now we'll have "notch gate". I think the "blacked" out bar makes the entire phone look somewhat unbalanced; larger bezel at the top with sharper, rounded corners. It's sloppy design just to try and hide something that we all know is there. Very un-Apple like. You've spent a decade with the status bar being black in color at times thereby causing the "forehead' to be thicker on a black-faced iPhone but you're only now noticing and saying it's unbalanced? Ya, I don't get this. How many people complain about having to much Bezel. They want NONE, more screen. 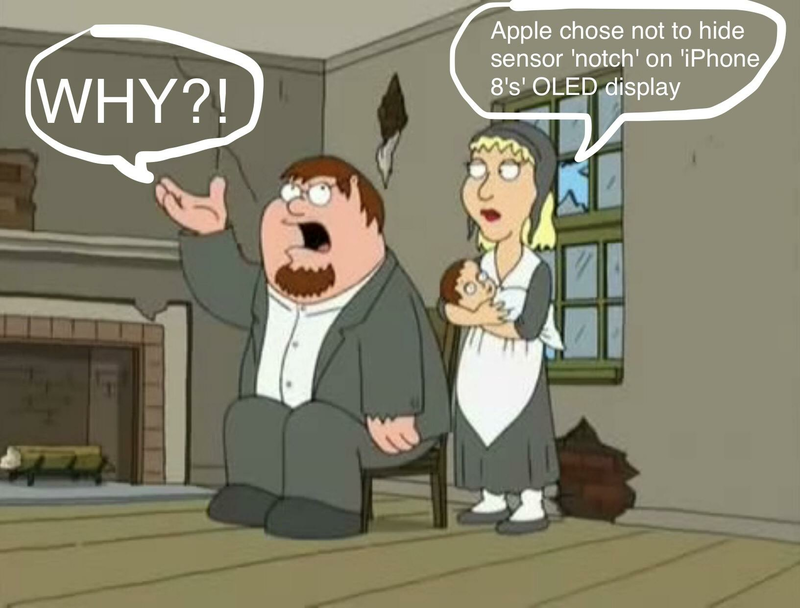 Apple is giving it to people, and yet they still complain. The tech is not there to hide this stuff behind the screen. It really doesn't matter to me either way. It seems a little late at this point to figure it out. After all the press conference is now just under 2 weeks away. I am surprised by how much bitching there is about something that is still a rumour, where mockups are the the only way we're seeing this effect in action, and Apple doing exactly what people wanted them to do by making the bezels smaller. I'll be surprised if Apple actually does this. that software rendered home button def won't be there. just two fingers swiping down from the top can replace default home button functionality. double click home button functionality can be three fingers swiping down from the top and guided mode and assisted mode can be put in the menu that comes up from the bottom. anyways, that's how I'd design it. The article is literally saying they won't do this...they will let App UI use it, instead of permanently masking it with OLED black. Exactly the worst possible outcome. So will I. The first thing everyone with a clue said when they saw the notch was: OLED black & status bar. It is the only way it ever made sense, and didn't result in a hideously ugly product. I would take all rumours with a grain of salt and I would put even less stock into visual mockups and poor imagery of unreleased products. For the latter, I learned my lesson when Gizmodo released poor images of the iPhone 4. It looked hideous then, yet that is still my favorite design to the day. I'm not saying what Apple will or won't do, only that with OLED there are two main benefits to the technology when using black pixels. We see it with the Watch already. Of course, maybe advancements in other areas, like battery density, a much larger battery because of how they use the internal volume for the logic board, and/or the use of microLEDs could negate a need for more "off" LED pixels. Additionally, Apple has been working on Smart Invert Colors for iOS so that those that the above images can have a black background with white text, but the image icons will still look normal. Actually it would make more sense to black out the top AND bottom where the home button is.